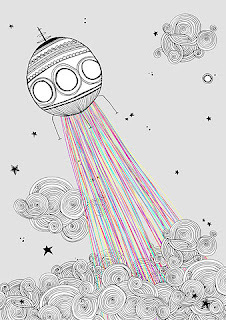 shine brite zamorano: up and away. 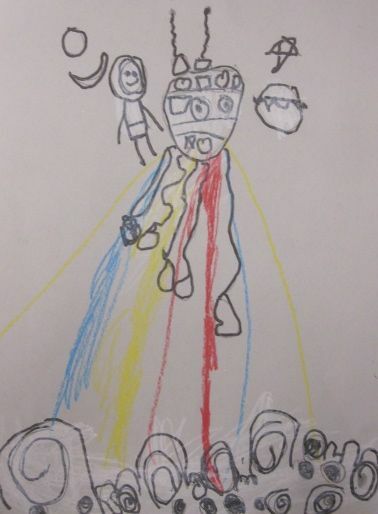 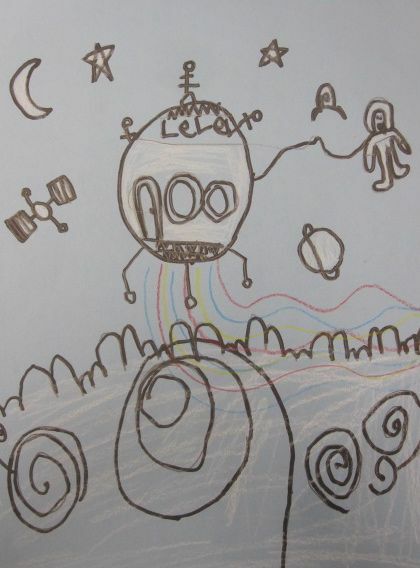 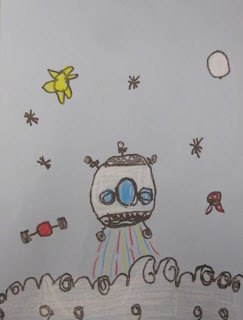 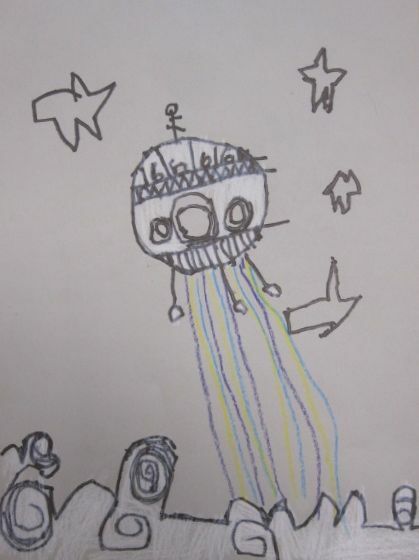 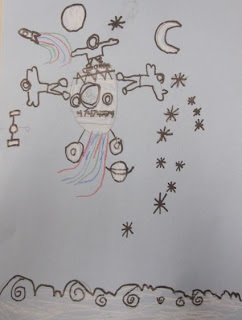 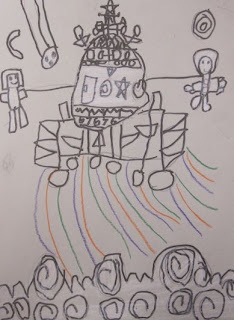 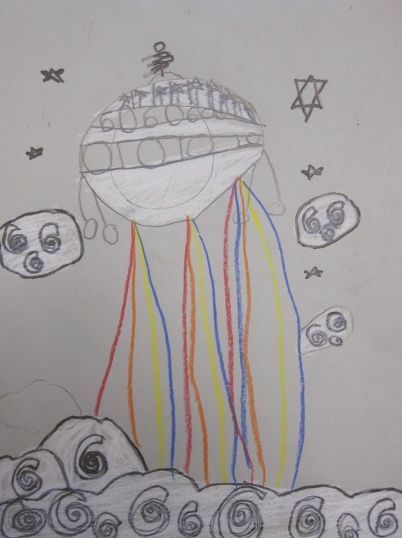 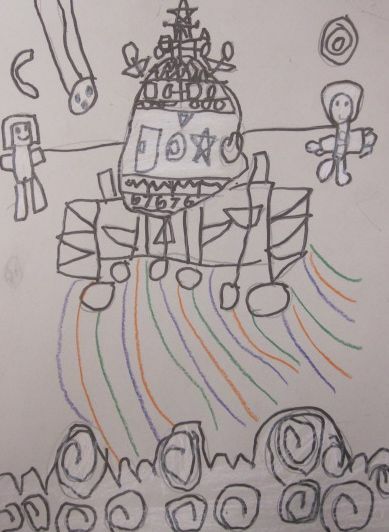 Last week the first graders blasted into space with a little help from line and an illustration by Clara Mercader. I then shared this illustration with them, which was created by Spanish artist Clara Mercader for her design company Maria Diamantes. The kids really liked this illustration. It served as a fun intro to what line can do for you in a drawing. 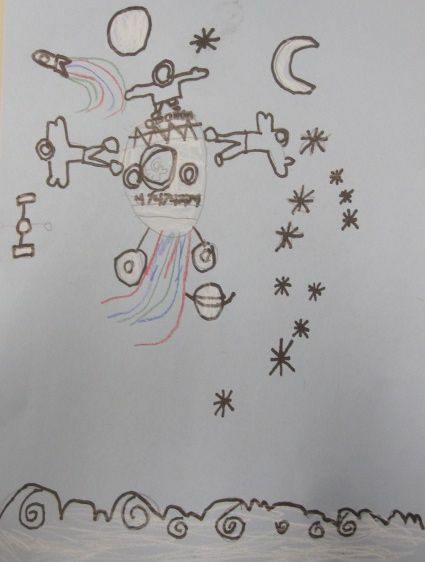 The rest was pretty straightforward. 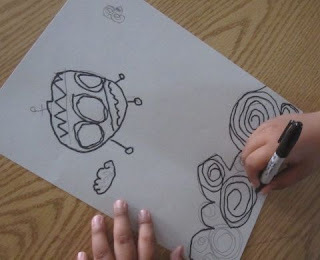 I walked the students through the drawing steps in pencil. 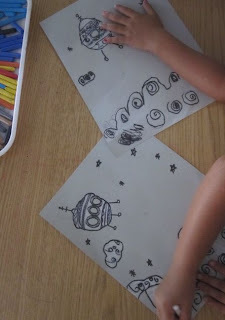 Students were free to add details to the outer space scene that would make it look more interesting. 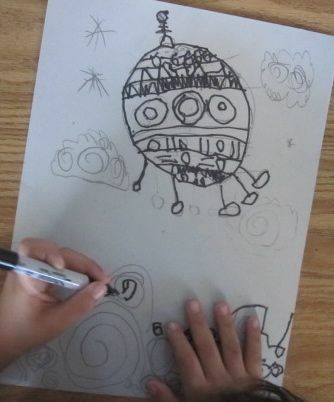 They then traced their lines with marker to make them stand out a little more and they added white color to parts they wanted to stand out even more. 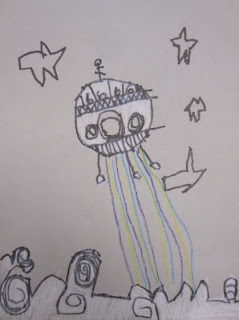 The last step was the movement part. 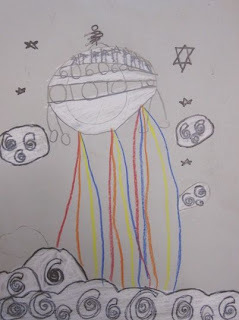 Students were allowed to pick up to 3 colors to make a movement trail, so we would know which direction their rocket was traveling. For a directed drawing, there was a good amount of variety in the student drawings. 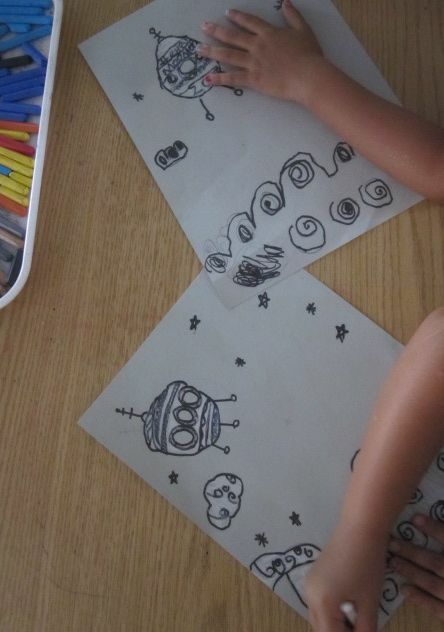 Way to start of the year, 1st graders!